In this fascinating talk theoretical physicist Ben Allanach talks about the search for dark matter at the Large Hadron Collider, including a generous helping of information on the Higgs boson. Ben gave the talk on 19 June 2015 to an audience of school students aged 16-17 as part of a mathematics enrichment event at the University of Cambridge. If you prefer read, the see the abridged version of this talk. In this excellent talk the mathematician Vicky Neale gives a fascinating and easy-to-follow introduction to the prime numbers — from a thorough description of what they are, via the ancient proof that there are infinitely many, to the prime number theorem, the twin prime conjecture and more. By the end of this talk you hopefully agree with us, and Vicky, that the world would be a very boring place without primes. Vicky gave this talk at the University of Cambridge on 19 June 2015 to an audience of Year 12 A-level Maths students (aged 16-17). It formed part of a mathematics enrichment day organised by the Millennium Mathematics Project with a special focus on encouraging creative mathematical thinking. For more on creative mathematics, visit Wild Maths. To find out more about prime numbers, browse our articles on the subject. This year the festival is in Bradford from 7-10 September. 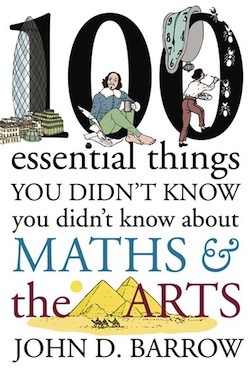 And, as well as delights in all areas of science, there is some fascinating maths to enjoy. In Advanced airports and on-time ambulances, Kevin Glazebrook and Vincent Knight will explain how number crunching improve holiday travel chaos in airports, and get you medical help in an emergency quicker. And on the subject of health, you can join in a mini-epidemic with Erin Lafferty as she reveals the medical secrets behind infection in Can maths decode infectious diseases? Meanwhile scientist Martin Brinkworth, mathematician Simon Shepherd and artist Marcus Levine will show us the beautiful side of big data in Art and big data and explore what our innate appreciation of aesthetics in these representations can reveal. In Love and war: the mathematical way Hannah Fry will demonstrate the power of maths in understanding human behaviour in the rawest of human emotions. You can find out more about these and all the other fascinating events at the Festival website – booking is now open! To get you in the mood, you can read more about the maths behind infectious diseases, art, love and war on Plus. On May 23rd John Nash sadly died in a car crash, along with his wife Alicia. To the wider world Nash was famous as the main character of the book and film A beautiful mind, and to mathematicians for his important work in game theory, geometry and the theory of differential equations. Nash won the Nobel Prize for Economics in 1994 and was awarded the prestigious Abel Prize only this year. Here are three Plus articles that shed light on some of his work. The Abel Prize 2015: All wrapped up — This article explores Nash's work in geometry and differential equations, which won him a share of the Abel Prize 2015. If we all go for the blonde — A gentle introduction to some game theory, based on a scene from the film A beautiful mind. Game theory and the Cuban missile crisis — A fascinating application of game theory, including the concept of a Nash equilibrium, to a dangerous political stand-off. To find out more about the life and work of John Nash read his biography on the MacTutor History of Mathematics archive. Ever wondered why diamonds sparkle? Or why an egg is egg shaped? The talk is from 11am to 12pm at the City Library in Bradford and admission is £6. You can book tickets here. 6 - 12 = 6. These sums can be a little tedious to work out if you're counting on your fingers, but luckily there is a general method. Let's say you're doing arithmetic modulo some natural number p and you're looking at some other natural number x. To find the value of x modulo p (the value of x on a clock with p hours), compute the remainder when dividing x by p: that's your result. If you want to add or subtract two numbers module some natural number p, you simply work out the result, call it x, in ordinary arithmetic and then find the value of x modulo p.
There is clearly something very cyclical about modular arithmetic. 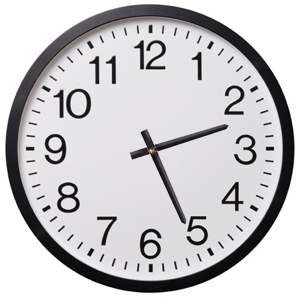 Whatever number p defines your arithmetic, you can think of it as counting forward or backward in clock with p hours. To put this in technical maths language, modular arithmetic modulo p gives you a cyclic group of order p. You can find out more about group theory in this article and about modular arithmetic on our sister site NRICH.